Prism electronics provides several options for your secure data sanitization and destruction needs. Our services ensure the destruction of data and information stored on computers and related hardware. We can process a wide range of equipment but not limited to: Hard disk drives, Desktop computers, Servers, Storage arrays, Printers, Network equipment, Mobile phones and other Technology devices. Our number one priority is to protect the identity and data of our clients by providing several avenues of data destruction from Physical destruction to data overwriting. Prism electronics can safeguard against data recovery and reuse by completely destroying hardware to prevent any recovery of proprietary data, designs or other material. Physical destruction is the most secure but offers the lowest amount of return. Data destruction services through data sanitization methods do not require physical destruction. Hardware that is sanitized can be remarketed with piece of mind that the data is cleansed. 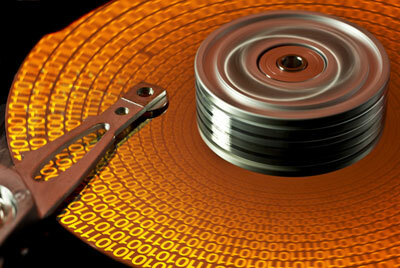 Prism electronics provides several levels of data destruction based on client needs and budget. Part of our standard operating procedure is to provide clients with data sanitization and destruction reports that contain serial numbers of what was destroyed as well as the sanitization or physical destruction date. Our reports also provide the date, the name of the technician and the confirmation of services rendered. We currently offer several levels of data destruction. Basic (single pass overwrite), Advanced (DOD wipe Standard) and Physical destruction (Disintegration pulverization).